The Inter-Services Public Relations (ISPR) requested the Supreme Court of Pakistan to "initiate appropriate process to ascertain the veracity of the allegations" made by Justice Shaukat Aziz Siddiqui of the Islamabad High Court. 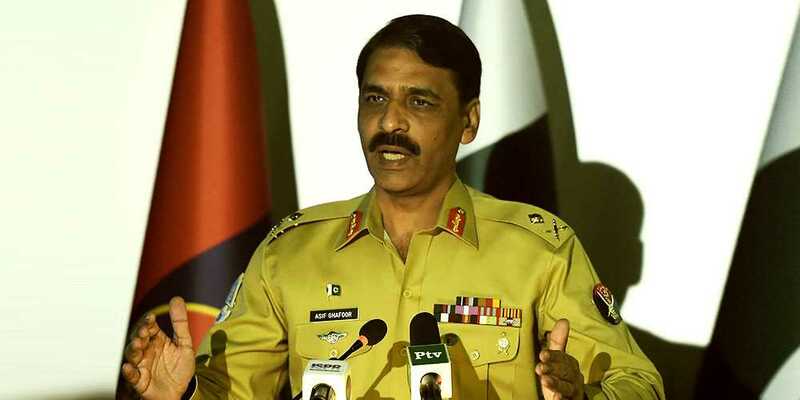 "An honourable judge of Islamabad High Court of Pakistan has leveled serious allegations against state institutions, including honorary judiciary and the premier state intelligence agency," reads the press release shared by Director General of ISPR Maj Gen Asif Ghafoor on Twitter. The statement shared by the army's media wing says that "in order to safeguard the sanctity and credibility of the state institutions", the Supreme Court of Pakistan has been requested to "initiate appropriate process to ascertain the veracity of the allegations and take actions accordingly." Earlier on Sunday, Chief Justice Mian Saqib Nisar took "serious notice of a speech delivered by Justice Siddiqui [...] alleging interference of intelligence agencies of the country in judicial matters". The top judge has also called for complete record of the speech from the Pakistan Electronic Media Regulatory Authority (Pemra). While addressing the Rawalpindi Bar Association on Saturday, Justice Siddiqui had claimed that the agency's personnel were manipulating judicial proceedings against the Sharif family. "Their [the agency's] personnel get benches formed at their will," Justice Siddiqui had alleged.